Tesla handed over the keys (or, in this case, keycards) to the first 30 Model 3 owners at the automaker's manufacturing plant in Fremont, California Friday night. The jubilant event marked the culmination of a long journey to deliver an affordable electric car. With its first three vehicles — the Roadster, Model S and Model X — Tesla (TSLA) made electric cars cool. But with prices approaching and exceeding $100,000, few could afford them. 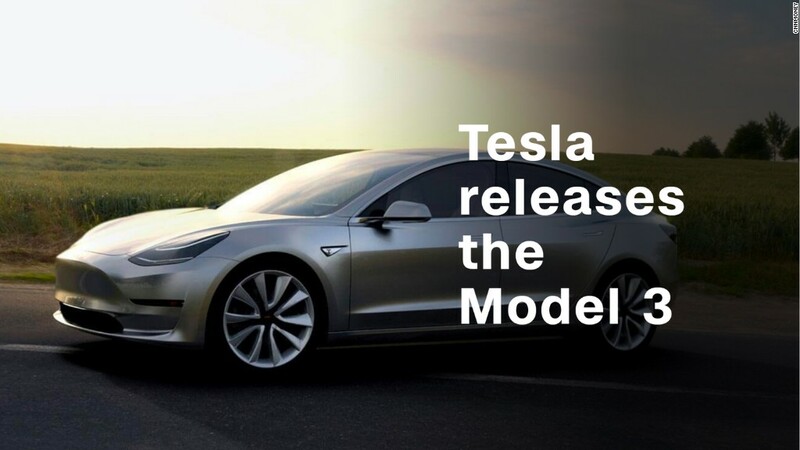 Now with the Model 3, which starts at $35,000, Tesla is releasing a vehicle that could truly move the needle on electric car adoption. The sedan is a critical step in CEO Elon Musk's vision of accelerating the world's transition to sustainable energy. "This is a great day for Tesla," Musk told reporters Friday. "It was never our goal just to make expensive cars. We wanted to make cars everyone could buy." Musk said Friday that the net reservation number for Model 3s is over half a million. If all those reservations turn into actual orders, the Model 3 appears set to be among the best-selling vehicles in the United States. Tesla's popularity with consumers has forced the rest of the auto industry to promise their own electric vehicles. Tesla's challenge isn't finding customers — but rather if it can serve them fast enough. A customer pre-ordering a Model 3 today would have to wait until late 2018 to receive the car. Musk described to reporters Friday how the company went through "production hell" to deliver its first three models. 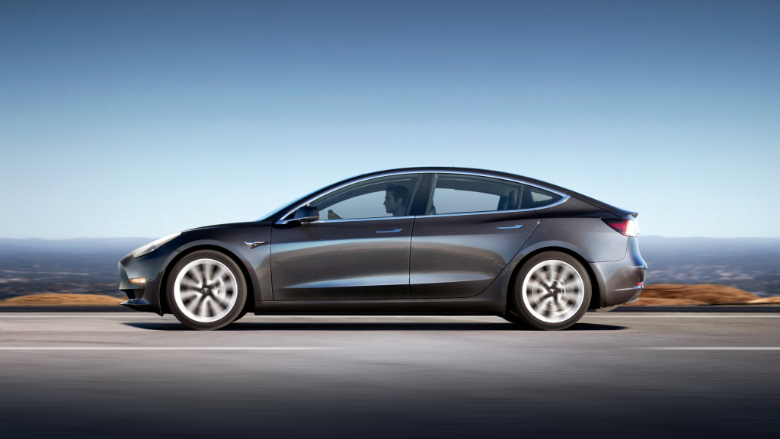 The Model 3 was designed to be minimalist so that Tesla can produce more cars faster. The Model 3 has far fewer bells and whistles than previous Teslas. The door handles are manual, the body is half steel rather than all aluminum, and there's only one screen on the dashboard, mounted at the center, so there's no instrument cluster in front of the driver. The standard Model 3 has a battery range of 220 miles and gets from 0-60 mph in 5.6 seconds. Customers can pay for added features, including a larger battery, fancier wheels, metallic paint and autonomous driving features. There's a four-year 50,000 mile limited warranty for the vehicle. The battery's warranty is eight years and 100,000 miles. Despite the slimmed-down feature set, the Model 3 still has Tesla's distinct stylings. 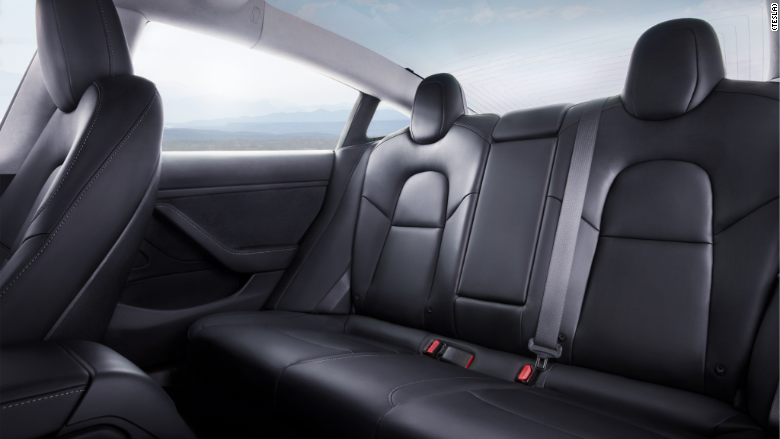 "Everything we do at Tesla has to be beautiful," Tesla chief designer Franz von Holzhausen told reporters. "And the beauty is only great if it's functional." 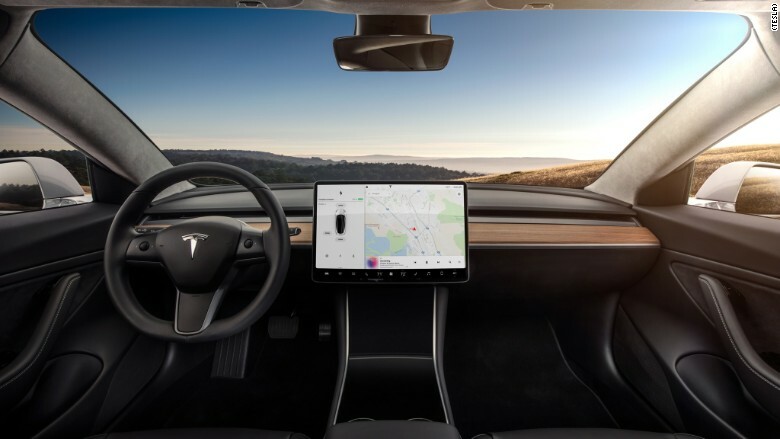 He singled out the Model 3's glass roof, which was designed to make the car feel more spacious. One of the open questions around the Model 3 is its self-driving capabilities. Tesla has been a market leader with partial self-driving features, such as lane keeping and automated lane changes. Tesla says the Model 3 ships with the hardware necessary for full self-driving capability. As its self-driving software improves, the company will issue updates. Eventually, Tesla expects the car will drive itself. But Tesla's self-driving team has had several key departures in the last year, and faces intense competition from major tech companies, automakers and startups. The Model 3 may take its place alongside Henry Ford's Model T and Steve Jobs's iPhone as transcendent pieces of technology that ushered in new eras. Or it could be surpassed, and remembered instead as the catalyst for a new market that competitors ultimately won.